The Great Siege Tunnels of Gibraltar is a very interesting fortress - dug out from the solid limestone by the British during the Great Siege of Gibraltar at the end of the 18th century. 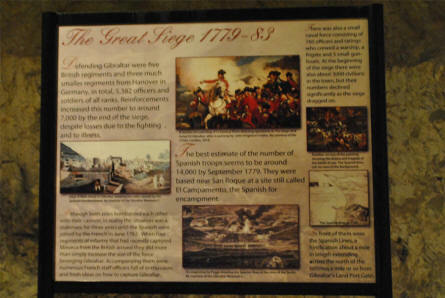 The Great Siege - which lasted from 1779 to 1783 - was an attempt by France and Spain to capture Gibraltar from Great Britain during the American Revolutionary War. 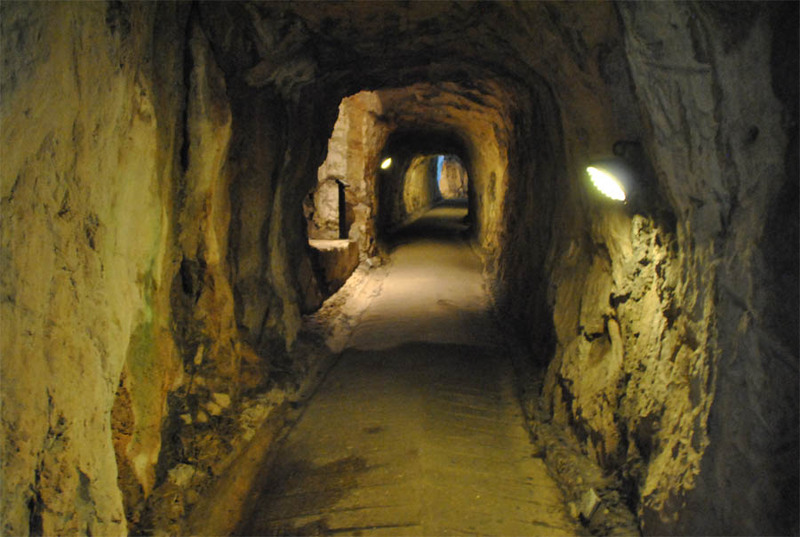 During World War II the tunnels were expanded so that the tunnels could house up to 16,000 men. 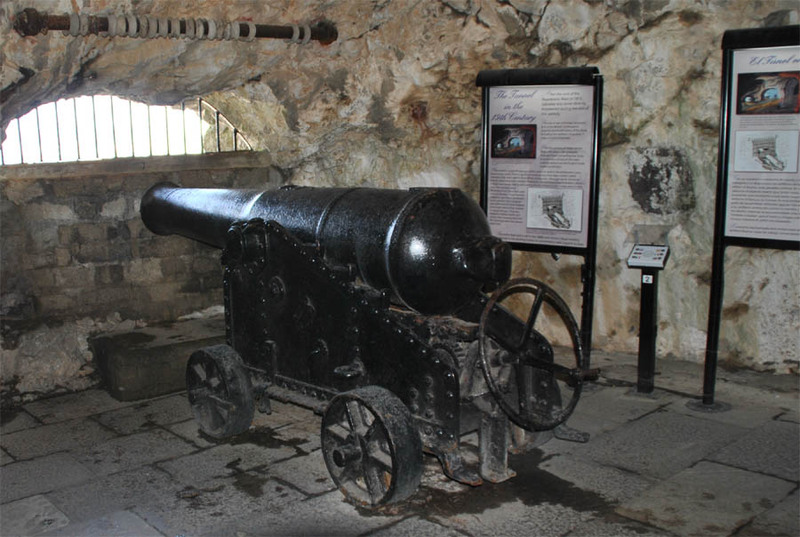 A vintage canon inside the Great Siege Tunnels of Gibraltar. One of the long tunnels inside the Great Siege Tunnels of Gibraltar. 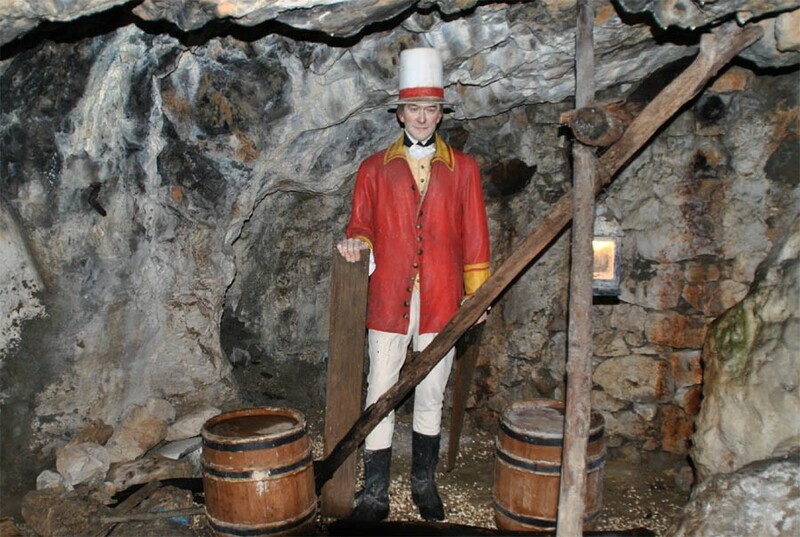 One of the many full-size figures inside the Great Siege Tunnels of Gibraltar. 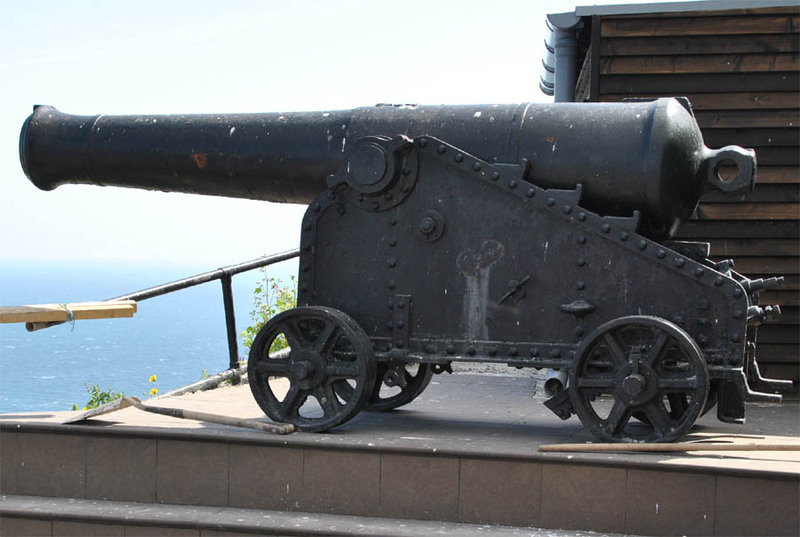 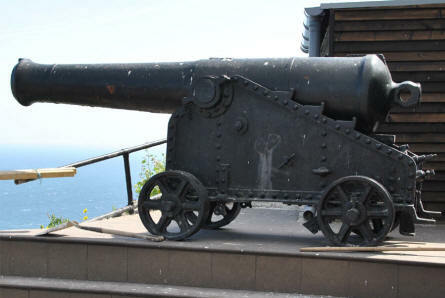 A vintage canon outside the entrance to the Great Siege Tunnels of Gibraltar. 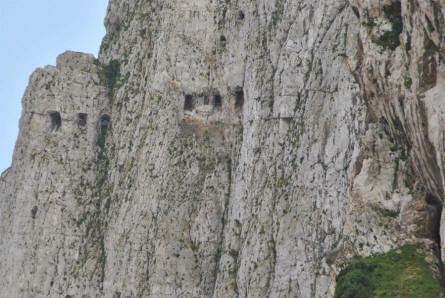 Some of the gun embrasures from the Great Siege Tunnels of Gibraltar - seen from the outside. One of the many information posters inside the Great Siege Tunnels of Gibraltar.